As a repeat customer for different roofs, I can honestly say Luc’s Roofing is outstanding for excellence in service and customer care. Ben is an absolute pleasure to deal with. His crew are professional, courteous and polite. A powerful wind storm necessitated a new roof. Ben responded promptly to my call for help, took photos of my roof so that I could see the full extent of the problem that was not visible from the ground, provided me with colour samples of the shingles for my new roof, took precautions to protect the artificial turf on my front lawn, ensured all aspects of the roof were done properly and kept me fully informed and updated throughout the project. I would not hesitate to highly recommend Luc’s Roofing for all your roofing needs. Hi, thanks for the detailed assessment of how we did! We know that a secure roof represents protection for your home and really strive to give every customer that security. We're happy you felt well serviced. We had a roof leak which started coming into our attic and then into our second floor, after several days of rain. I was referred to Luc's Roofing by a friend. Ben was able to come right over and inspect the roof . He also went into the attic and inspected a rotted area, which had been leaking for a long time. Other roofing companies did not inspect as thoroughly and only wanted to put a new roof over the old one (which would not have fixed the problem). 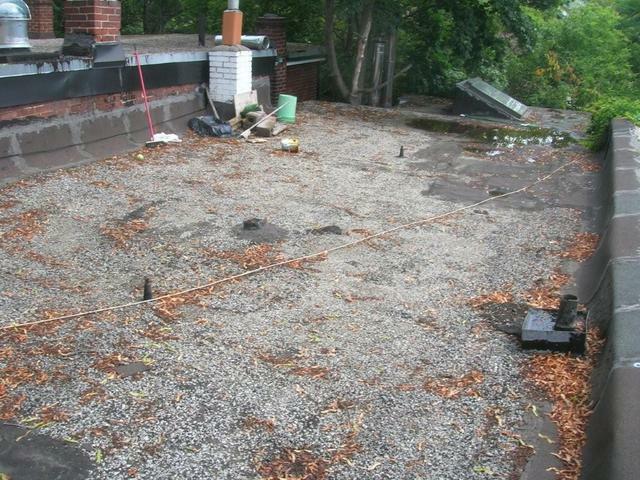 We were able to have our flat roof replaced and sloped portion repaired within a few days for a very fair price. I highly recommend them - great work, great service and great pricing. Thanks so much for this review Christin, it was pleasure working for you and your husband. Without hesitation, I recommend Luc's Roofing. Our 1911 semi had flat-top layers down to the original, and multiple layers of shingles on the peak. Porch roof joists needed repair. Several roofing companies provided estimates: some roofers would not even take on the flat-top and one wanted to add yet another layer. After the first meeting with Ben, I knew Luc's Roofing was the right fit. Ben knows roofs. Not only was a detailed and fair quote provided on the spot, Ben provided a photo of adjoined neighbour's chimney - so they could be alerted of a problem and also photos of where the flat tops joined- in order to discuss options. No other roofer had even raised the subject. Ben was on site/on roof during the job and clearly communicated what was found (including original cedar shingles) with photos and options. Utmost care with house and property protection and cleanup - including neighbours. Hardworking and respectful crew. Ethics: repaired shortcut taken by neighbour's roofer where 2 roofs joined. Quality products used with high standards of installation. Attention to detail, smart suggestions. In my opinion, this is the company you want working on your roof. Thank you so much for such a wonderful review! We really enjoyed working on your property and are thrilled that you enjoyed the experience as well! 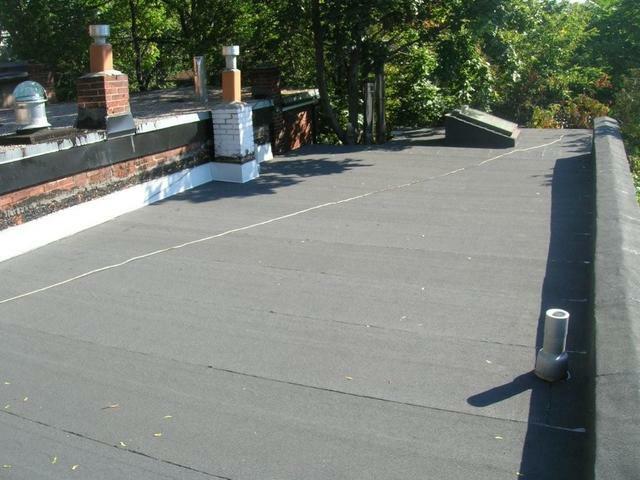 Luc's Roofing had redone our flat roof a number of years ago and our experience was fantastic. Recently I noticed a few shingles had blown off from our sloping roof and gave them a call again. They are very responsive and fair in their pricing and got the work done fast. Whether you require large or small roof repair you should really check out this company. Highly recommended. Hi Rick! We try our best to get back to everyone as quickly as possible, and we're glad you enjoyed the service! From inquiry to final handshake, the Luc's Roofing team were top notch. Ben and his crew went above and beyond what I expected... and as an architect I've worked with plenty roofing companies. Thanks, coming from a professional in the industry, we really appreciate your confidence in us! This is the company you call when you want the best! Want outstanding service, quality materials & extraordinary ethics? Call Luc’s Roofing! For over 25 years, this exceptional company has continued to earn its well-deserved reputation for excellence, client loyalty, competitive pricing, & jobs tailored to each client’s needs. Need proof? Just this week I contacted the company & received my first reply within hours. Soon after, the owner, himself, quickly contacted me to arrange a personal visit to assess my roof & give me options. Two days later - looking out for my interests - he moved up my job date (to that weekend!) to ensure I was protected from winter damage. And it didn’t stop there! The owner, himself, worked alongside his very able team, & finished the job early! From first contact to finished job, everything was handled in days! And my case is not unique. This company is known for their quality & making every client feel special. How? They guarantee that each client receives the owner’s personal touch & care. Luc’s Roofing – a company founded by Luc Corriveau, with a tradition of excellence carried on by son, Ben Corriveau - this is the company you call when you want the best! Ben responded promptly in repairing a small issue I was having with the seal on my utility pipe at the roofline. Other companies just scoffed at the size of the job. Ben came right over and was on the roof in minutes. I would recommend to anyone looking for courteous, professional service. Thank you! Every customer is important, and we pride ourselves on doing the highest quality work no matter what the size of the job so - Thank You! It's interesting to read all of the great reviews for this company. There is no mystery as to why Ben and his crew are shooting the lights out with consistent 10/10 scores: they work hard and know what they are doing, the job starts in a timely manner, the cost quote is firm, and after the project is complete, they clean up properly. All that at a competitive price. Seems like a winning formula to me. Having used another roofer before, I know from experience that this isn't the way other companies operate. Save yourself the hassle and get a fellow like Ben who knows how to deliver on his promises. Thank you! We pride ourselves on always doing a job to the highest possible standards in all aspects and it is wonderful to read a review like yours and be appreciated for the way we go the extra mile! Thanks for the wonderful review! Leak - Amazing Response from Luc's Roofing! We had a new roof put in 2 years ago by Luc's Roofing - Ben and his team had done an impeccable job! We had huge rainstorms earlier this week and noticed a few drops of water coming into our enclosed porch. I assumed there was something wrong with our roof. I emailed Luc's and Ben came by the very next day (Canada Day!). Upon inspection, the roof is completely fine but Ben did notice that our 2nd storey window (which lines up directly above our enclosed porch) was possibly letting water in through the siding. The same thing had been noted by Ben to my husband 2 years ago (I wasn't aware of this). Ben very nicely caulked around our window and siding areas that had a few cracks. He asked that we let him know if we still have water coming in. My husband climbed up on the roof with Ben and saw that roof is still in impeccable condition. We tried to pay Ben for his time but he refused. He is genuinely a nice person and incredibly professional! It is sooooo refreshing to meet someone like that who obviously takes pride in his work and company's reputation. Big thank you to Ben and Luc'so Roofing!! Hi Nicole, we're so happy that you had such a positive experience with Ben! He's definitely one of our biggest assets! Roofing of all types: shingle roofing, flat roofing, cedar roofing, roof repairs, slate repairs, flat roof ISO insulation, skylights. Free inspections. Written estimates. Installation. Luc is certified by Certainteed Shingle Company as a Quality Master Shingle Specialist and our lead tradesman is qualified as a Master Shingle Applicator. Certainteed shingles, Grace ice and water shield, Lomanco vents. All styles of shingle roofs, flats, low slopes, cedar and slate. We take pride in adding beauty to homes, new or old, to increase their aesthetic appeal or restore their original beauty. Our staff have worked on a vast number of projects and excel in anything from large, straight-away surfaces to small, intricate jobs. We are highly aware of protecting your grounds and other house surfaces while we work.